If you have invested your money in the viral Ponzi Scheme called MMM Nigeria, you are in for a big time surprise. The truth of the matter is that MMM, a Ponzi Scheme which is feared around the world is not the same as MMM Nigeria. 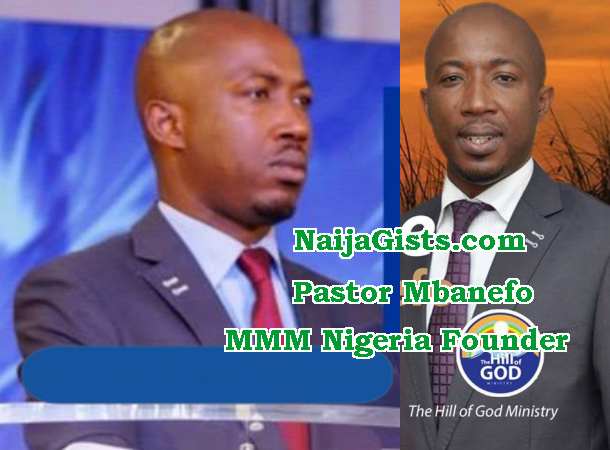 The founder of MMM Nigeria is a South Africa-based Nigerian fraudster, who parades himself as Pastor Ernest Chigozie Mbanefo. 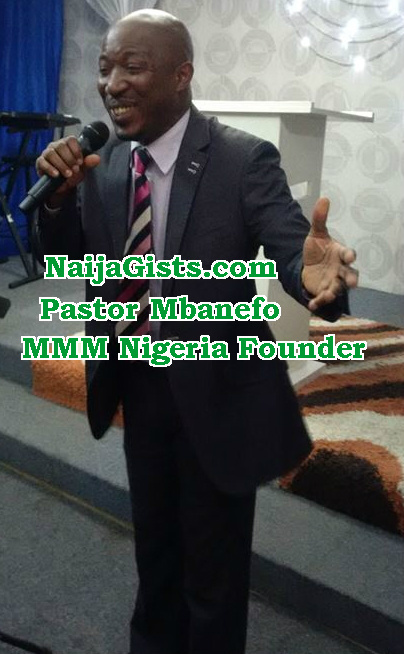 He is the founder of Mbanefo Nigerian Communications Network. 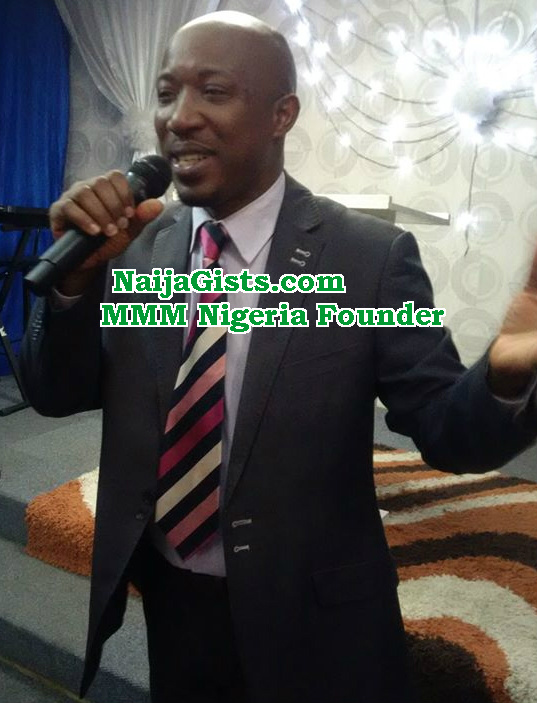 He reportedly started his own scam called MMM Nigeria in order to dupe gullible Nigerians who want an avenue to double their money without working for it. 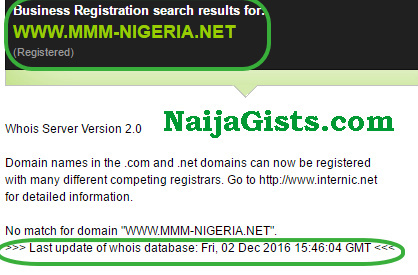 MMM-Nigeria.net which was registered by Mbanefo on the 7th of June 2016 has gone viral with over 2 million members. More details about Ernest Chigozie Mbanefo. He is the founder of a Nigerian church, Justified Youth & Singles Ministry based in Johannesburg South Africa. 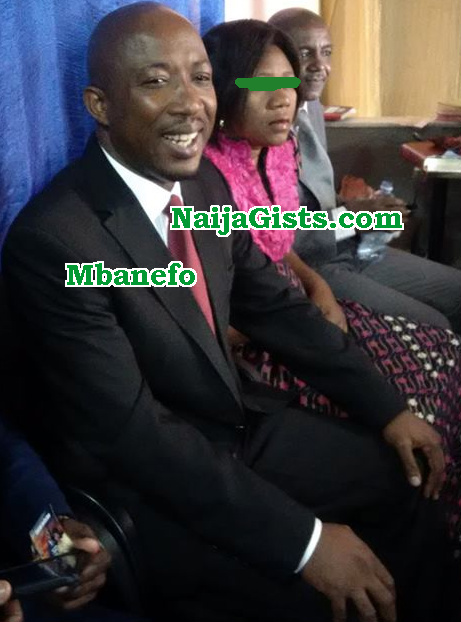 As it stand, Mbanefo has turned his domain detail private. 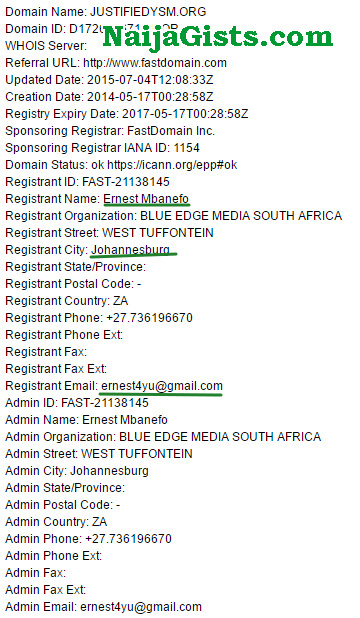 He updated his domain details today the 2nd of December 2016 in order to prevent Nigerians from uncovering his scams. However, NaijaGists.com has done more investigation to expose this scammer. A visit to his ministry website, Justifiedyms.org has revealed his details. His official name is Ernest Mbanefo. He is based in Johannesburg South Africa. A source NaijaGists.com contacted in South Africa this morning revealed that the alleged scammer is currently based in Port Harcourt Rivers State. According to our investigation, he currently shuttles between Nigeria, Kenya, Uganda and South Africa to strengthen his network. He reportedly has over 200 agents working for him. As it stands, he has duped over 2 million Nigerians of over 1 billion Naira. If you have invested your money in this scam, try and get your money now before it is too late. May God bless whoever post this, my brother initially invested 500,000 now he has invested 1 million. He is lost of words. Sadly, he is not alone. Banks and stock markets are involved in the same scheme. Look at your currency: why does it worth more today than it did yesterday, though the dimension and weight of the bills have not changed? Who asked you guy, has federal government sent you? A word is a enough to the wise. An intelligent person can readily take a hint from the fact made available above about this ponzi scheme. MMM in nigeria is nearing it last days. Be warned! This man is remember 2Pac to me. He is look like am. Una no dey tire? if u chase somebody so teeeey you no fit catch am why not accept defeat.why are you people taking panadol extra for other peoples headache.mmm participant are sure aware of whatever risk they are taking so why boader yourself for them? Whoever register mmm Nigeria is not a problem as long as it is paying. Long live mmm.if you can’t beat them join them. I WISH MY FRIEND TINA WHO HAS BEEN DISTURBING ME FOR MONTHS NOW TO JOIN THEM AND I VEHEMENTLY TOLD HER OFF WILL READ THIS. go do ur proper research oga naijajist. The guy is a scam artist,I don’t believe him for a second. I live in south africa and I know most of his activities. this report is not far from the truth.